Why you cancelled this and delete your replies, miros? Message has been removed. But topic is not cancelled. I don't make Local Interstellar Cloud, because Local Interstellar Cloud is invisible. Is imposible to make something invisible in Space Engine or what? Maybe you can speak with Space Engineer for some help. miros_0571, do you want me to delete this thread? Is imposible to make something invisible in Space Engine or what? It is not impossible, but it is senseless since SE is all about what can be seen. If it is invisible and you open SE without this mod and don't see it, then how do you know it isn't there already? Maybe you can't see the cloud but you know is there. You can select it, search it by name, see his data... Is enough for me. I want things like these in Space Engine, that adds more variety and complete a little more the overall program. Well SE doesn't have the Heliosphere and such, and IMO, shouldn't have. They are pretty much pointless. Then create a StarBarycenter at Dist 0 and call it Local Interstellar Cloud. Done. Local Interstellar Cloud are still exists, help HarbingerDawn to add Local Interstellar Cloud in SpaceEngine. Really? Doesn't look pointless to me. In fact, could be an awesome addon to SE. That parameter can create a LIC around the Sun? With logical or acceptable data (dimensions and such)? You would have to create a nebula, but I have no idea if it is possible to do that without rendering one. My guess is that it is not. Otherwise that data cannot be added. Does SE support transparent textures? If it does then just make a big transparent blob or mostly transparent that is just faintly visible. I see. So we are back to the beginning. 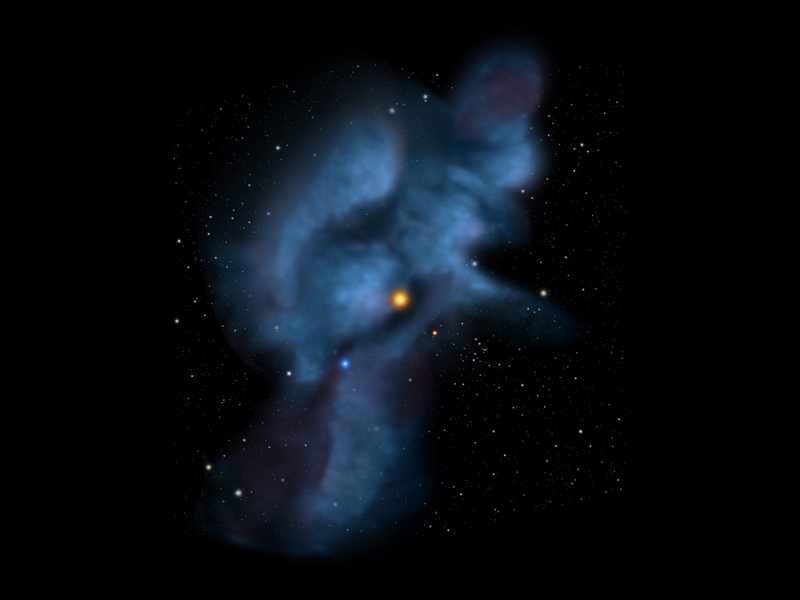 Miros, try to contact with Space Engineer for help to create a invisible nebula. LIC needs that to be real. Or search for help in the russian forum. That Local Interstellar Cloud is the only local increasing of density of interstellar matter near the Sun. It's density (0.1 atoms/cm3) is only 2 times greater than density of Local Bubble (0.2 atoms/cm3) - the big cavity in the interstellar medium blowig by ancient supernova. So do you think you should add the Local Bubble in SE too? The densite of Local Interstellar Cloud is 1/5 of average density of intestellar matter in galactic disk in solar neighborhood, so it can be called "cloud" only because it is located inside even less dense Local Bubble. The normal density of nebulae that can be seen (in reality and in SE) is thousand times greater than density of these things. So I see no reason to add them in SE. What would the point of an invisible nebula be anyway? SpaceEngineer has a point, it's just a slightly dustier area that we just happen to be moving through. I have no idea if that artists impression of the cloud from Sedna is accurate, but then again, it's an artistic impression. Given what SpaceEngineer said, it wouldn't be visible from Sedna either.